Why are we talking about Two Factor Authentication at all? As the world is seeing a digital boom and moving towards a more technology-reliant living, many flaws have also emerged that need to be focused on. One such trouble that has developed as a drawback of the technology-dependent world is digital crime and fraud. Internet users are constantly under the threat of such crimes. While most of the people using technology and internet are aware of the importance of logins, passwords and user ids, most them do not have any knowledge about Two Factor Authentication or 2FA. As the standard use of username and password to maintain security is becoming easy for the criminals to break and gain access to the private data, 2FA acts as an extra layer of security protecting the data from attacks. What is Two-Factor Authentication and how it Works? Two-factor authentication is a method through which a user claimed identity is confirmed. This identification process uses a combination of two different components to verify the authenticity of the identity claimed. 2FA is a type of multi-factor authentication. This authentication process is used in everyday life to ensure security. Some good examples are ATM, access/attendance cards, etc. where the card details and one authentication factor is used to check the identity (as illustrated in the image 1). To understand how 2FA works, you need to first understand what various authentication factors are. Authentication factors act as an additional layer of security in contrast with single-factor authentication which is usually dependent on a password. This makes it harder for the attackers to break in and gain access to crucial data. The Knowledge Factors: This authentication factor is something known only to the user like a pin or password, etc. This is a shared secret that is known by the authenticating device or site and the user. Possession factor: In some cases such as access control systems, a card, security token, etc is given to the user. Only the user in possession of it will gain access. The possession factors can be divided into two types of tokens- disconnected token and connected token. 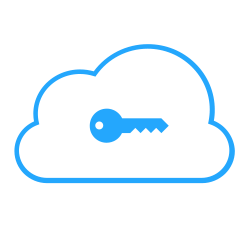 The disconnected token uses a built-in screen that displays the generated authentication data typed by a user without any need of connection with the computer. On the other hand, the connected token is connected to a computer device that transmits data automatically. Some examples of connected tokens are USB tokens, Wireless tags, etc. Inherence factor: This factor uses biometric data to authenticate the access. Examples include fingerprint readers, retina scanners, voice recognition, etc. It is now easier to understand that two-factor authentication adds information that only and only the user knows to make it difficult for potential intruders to gain access. How 2FA Works in Access Control Systems? In a business, letting the right person gain access is very important for the security. Two-factor authentication can work in two ways to control access for businesses organisations. 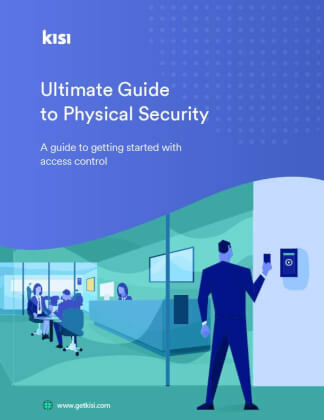 2FA supports both physical access control and data access control. Business organisation restricts the people who can physically access the organisational premises through 2FA access control systems. Employees must have an authentication factor to claim identity like cards (as illustrated in image 3), tokens or biometric methods. If any vehicle or driver must enter your warehouse or premises, 2FA authentication factors combined with username will ensure that only the ones who want to allow should access the building premises. Similarly, in the internal circle of a business organisation, management and executives can decide who can gain access to what information. This also helps to protect the crucial data from general access within the same system or network. The information can be accessed only by the person with authentication factor. In the fleet industry and other industries, where an employee is entrusted with company resource or asset, mobile device 2FA can ensure that you are in touch with your employees and asset/ resource is in possession of employee only. Businesses such as food delivery, online shopping and others, the customers are required to create a user profile. Companies can use the 2FA to ensure only the customers access their accounts. Two-factor authentication helps a business to build a robust adaptive security system. 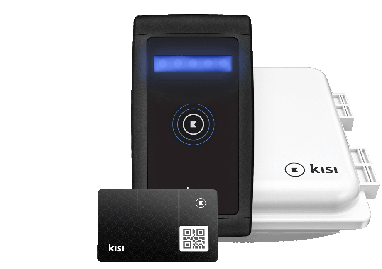 While data access controlling requires smartphone-like devices, on a physical access control systems products like RIFD card and tokens are needed along with their respective readers. If the company is using inherence factor to identify the users, biometric readers like fingerprint readers, retina scanners (to scan retina like in the image below) and voice recognition devices will be the products that will be needed. Two-factor authentication provides a safe environment to employees and adds to the security of your building premises and assets. It controls the entry of visitors into the office. Facilities, high-value assets and networks can be protected with a comprehensive access control that operates on 2FA. 2FA access control helps you to know who has gained access to your facility, allow you to manage the level of access and create a strong regulatory compliance objective to maintain security. If there are any high-security zones in your office premises, you can control the access to those zones. Critical and sensitive data can be protected from the potential intruders and from any other type of unwanted access. If your employees are in possession of business assets or resources, you can ensure their safety and prevent e.g. IP theft. Businesses can use 2FA access control systems to monitor and control many things related to payment such use of assets or commercial fleet fueling. This assists the managers and executives to eliminate wastage and misuse. The cost can be controlled to great extent through the use of access control systems with 2FA. 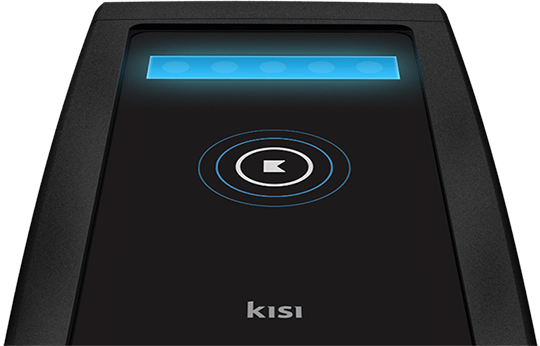 Biometric systems are beneficial as they cannot be forgotten, duplicated or misplaced. One-time-password (OTP) systems are susceptible to social engineering and real-time attacks. In case of connected tokens, the delay in generation and delivery of verification factors is a drawback. Biometric devices are not completely accurate and get affected by usage. Most people have an opinion that two-factor authentication can be inconvenient. While there might be some drawbacks of using 2FA in access control, it can be easily resolved. Two-factor authentication enhances the security of building premises and sensitive data. Businesses can use this method of establishing user identity to monitor and control various factors to optimize the operations of their business.